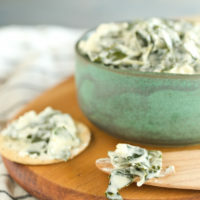 Collard Caesar Dip Recipe - Who Needs Salad? | Good. Food. Stories. It was really not a very good salad. In theory, it should have worked—shredded raw collard greens in place of the now-ubiquitous kale, shavings of cured egg yolk taking the place of the usual coddled egg in the caesar dressing. But what came to the table at this otherwise fine, upstanding bar/casual hang (and no, I’m not naming names) was a salt bomb for the ages, like our half-hearted attempts to be healthy were being thwarted on a cosmic scale. Thankfully, our little lunch group had oh-so-smartly ordered a side of crunchy kettle chips (what? potatoes are a side dish!) to go with our virtuous salad and refreshing round of beers. Pushing the sadly salty collards to the side, the unfortunate dressing became salvageable when scooped up by the chips in small amounts. And I realized that what was a complete fail from a salad angle could be repurposed into a creamy party dip with the right balance of salt and acid and funk. 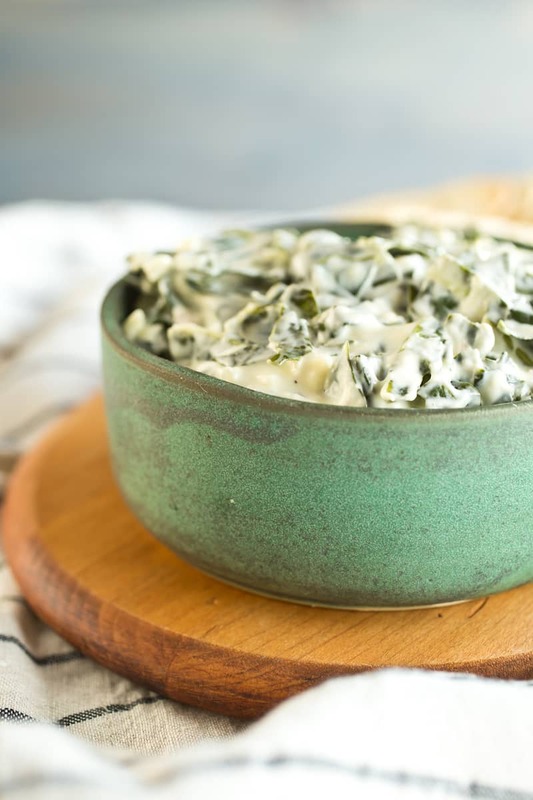 Instead of tweaking the already-modernized kale caesar, it could work as an update on the usual spinach dip that gets its satisfying savoriness from ye olde dried soup mix packets. I’m much happier eating my greens as part of this collard caesar dip. They retain a bit of that raw crunch, but are softened by a quick olive oil-lemon massage and folded into a zingy yogurt-mayo blend that has just the right amount of umami and brightness. If you’re already a fan of lacinato kale (aka dinosaur kale) but are new to collards, you’ll find a lot of similarities between the two—and, if you’re feeling collard-shy, you can certainly substitute lacinato here if you’d rather do so. You’ll get a double dose of veggie power if you serve the dip with your favorite crudité (is it too much to dip broccoli into a creamy bowl of collard greens? 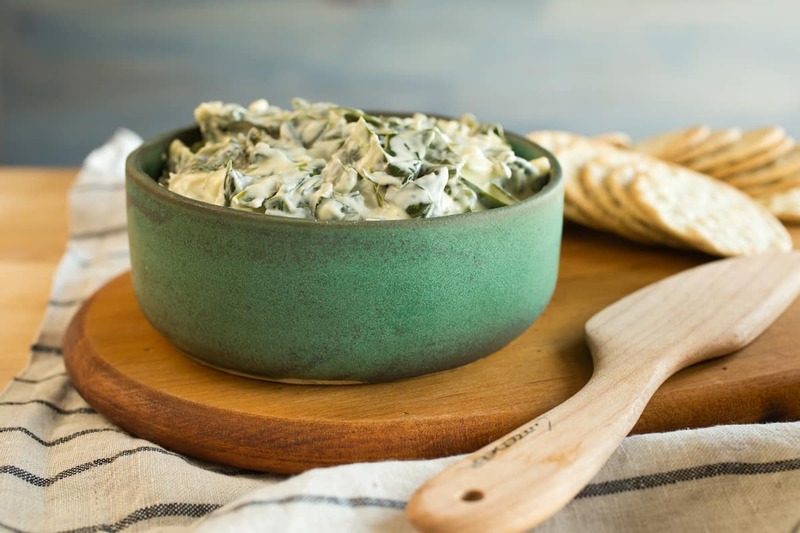 ), but you can also pay homage to the crouton side of the equation by serving your collard caesar dip with slices of crusty bread or peppery water crackers. NOTE: My favorite mayonnaise is Whole Foods’ 365 Organic brand, which has a distinct (and lovely, IMHO) tanginess. If you use a different brand or make your own mayonnaise, you might want to adjust the recipe below to add a bit of champagne vinegar or extra lemon juice. It’s all about finding balance. 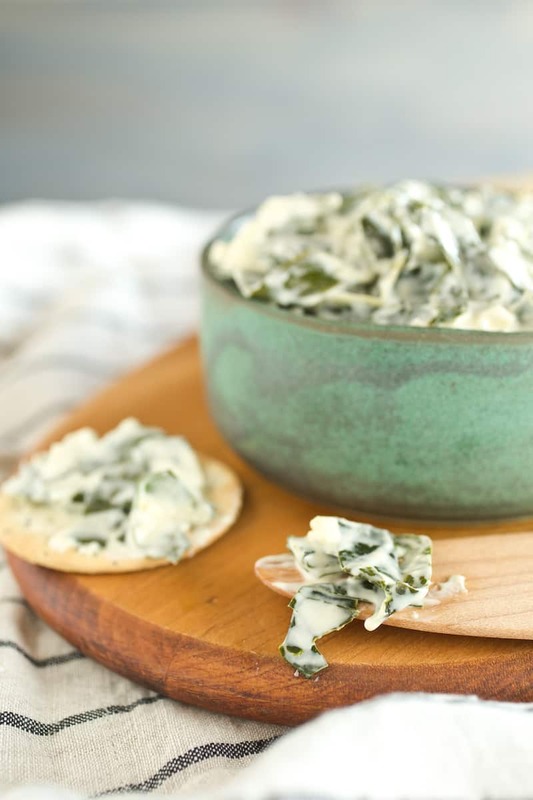 Collard caesar dip blends hearty shredded greens in a creamy, garlicky spread inspired by the classic salad dressing. Grab a bread bowl. Destem the collard greens, then rinse and dry well to remove any grit. Chop the leaves into bite-size pieces. In a large bowl, toss the chopped greens with the lemon juice, olive oil, and 1/2 teaspoon kosher salt. Gently massage the ingredients together with your hands for about 3 minutes, working the liquid and salt into the leaves to wilt them and make them more tender. You'll see the edges of each piece turn darker and slightly translucent as you massage them. Set the greens aside for at least 10 minutes. Mince the garlic, then mince the anchovies and bring the two together on your cutting board, pressing and smashing them into each other to make a pungent, salty paste. Finely chop the hard-boiled egg. Stir the garlic-anchovy paste and chopped egg into the greens, letting the yolk of the egg break down and become creamy as you stir. Stir in the yogurt, mayonnaise, Parmesan, and pepper into the greens. Taste and add salt if needed; depending on the anchovies and Parmesan, it probably won't be necessary. Cover the dip and refrigerate overnight to let the flavors meld. Serve with your favorite raw vegetables, crackers, or slices of crusty bread—this would also make a great dip for filling a pumpernickel bread bowl.